I have a question for coaches, parents and fans of little league ballers. Why do you all get so worked up and bent out of shape watching kids play baseball? Hear me out before you yell. HA! We have 2 boys who play full-time travel baseball. Our eldest son Max has been playing travel baseball and school ball for years. Our youngest son Kaleb has played travel ball for 2 years. It’s really the best of both worlds, watching more seasoned kids who have honed their skills for year’s battle it out vs experiencing the budding talents of the up-and-comers finding their way. Errors – Why do we treat kids like they don’t have feelings or the knowledge to realize they made an error? I cringe when I hear a coach or parent yelling at a player as if the kid doesn’t know they screwed up. THEY KNOW! I have never known a player that didn’t know when they messed up. It’s all over their faces and their hearts are on their sleeves. Why is it necessary to scream out across the field at a kid – little or big – that they messed up? The MLB coaches don’t scream out at their millionaire players who screw up – and yep they make errors that remind me of little leaguers all the time. I would bet the MLB players parents don’t dare scream out at them during the game either. 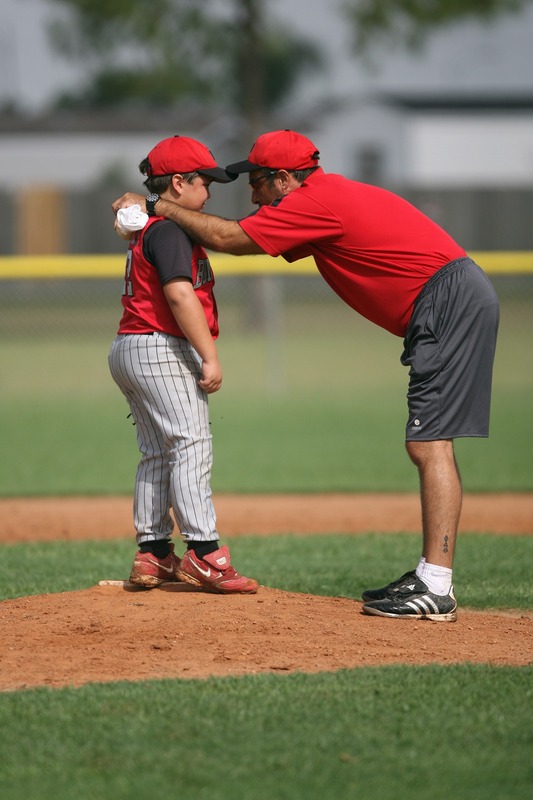 Coaches, if you feel you need to give direction that can’t wait until they are in the dugout, then do it in a constructive way that isn’t digging the poor kid deeper into the hole they already put themselves in. Parents, you have coaches, let them coach. Your kids aren’t making the big bucks. Try focusing on the great things that went on during the game and keep it fun! Bleacher Coaches - Do you think the coaches are asleep at the wheel? Parents/fans constantly think they need to yell out their coaching advice as if the coaches aren’t capable. There are coaches who have given their instruction in a way you may not be aware of or didn’t hear and now you are yelling out different instructions that may be confusing the players. I agree that younger players are in need of reminders more frequently, but trust me…most coaches are on it or will be when they need to be. If you’re concerned, maybe have a private chat with the coach if you think they are missing something. It’s not helping players (young/old) to hear instruction from 10 different directions. Bully Fans – Why do you think it’s appropriate to berate your kid or heaven forbid someone else’s kid in front of a field full of witnesses? It is never ok. True story - There was a line drive hit through the gap between the shortstop and 3rd baseman at my son’s game. Kaleb was on 1st as he rounded 2nd he was waved to go to 3rd. The ball came back to the 3rd baseman just as Kaleb was almost there. He saw it come in and turned to attempt to get back to 2nd. He was caught in the run down back to 2nd. I was actually really proud of him that he didn’t concede and just run into the tag. He almost made it back to 2n before being tagged out. To me, it was a heads up play and great effort. 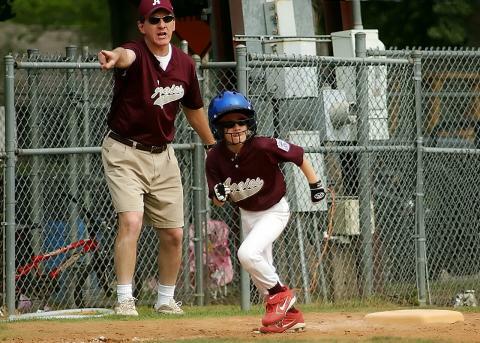 Coaches were telling him it was on them for sending him an extra base as he started to jog back to the dugout. Then it happened….the parent of another player on our team started screaming at my son – screaming that he needs to be watching the ball at all times and that he should have known to turn around sooner. Let me just say they are 8 years old. He did what he was told to do. It’s not your kid – which in my opinion still wouldn’t make this situation right. When did it become ok to openly bully and berate kids who are playing a game? Does this parent have a clue that my son is going to take it to heart that he got out? Needless to say, I am not the parent who will sit back and allow someone to berate a kid. So yes…I screamed twice as loud at this parent to shut up - to allow them to know how it feels to be called out in front of everyone. Please know if you are going to scream at kids – someone may just do it to you. You’re killing the joy of baseball with all the negative yelling. Try sticking with yelling out positive things. Don’t be the reason a kid wants to quit baseball.